This product typically qualifies for the 30% energy tax credit. Use Promocode: SAVEFAN5 for an extra 5% off when you spend $350 or more. Attic Breeze offers both the most durable and powerful solar powered roof ventilation fans available. Using only the highest quality parts and materials, Attic Breeze manufactures solar attic fans and solar powered ventilation products that will stand up to the harshest weather conditions time after time. Attic Breeze fans are not the cheapest solar powered attic fans on the market, but they are an American made attic ventilation fan that will definitely catch your attention. A standard electric attic fan will cost you roughly $160 pear year in electricity. Our solar powered fan will cost $0 per year. What makes Attic Breeze one of the best fans on the market? Attic Breeze fans are made with all metal construction, not plastic like most other solar-powered vent fans. In addition, the seams are welded instead of being fastened with pop rivets (which can wear loose from vibrations and leak or crack). Corrosion resistant zincalume alloy and stainless steel materials are used to ensure weather resistance and durability. Attic Breeze uses high quality monocrystalline solar cells which are more efficient and longer lasting than industry standard polycrystalline cells. 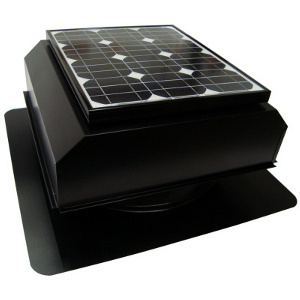 In addition, Attic Breeze builds the only 25 watt solar powered attic fans on the market. Capable of moving up to 1550 CFM, it typically takes two or three of the competitors fans to achieve the same performance as one Attic Breeze fan. Attic Breeze fans include a thermal switch standard on all products. This switch allows the fan to shut down when attic temperatures fall below the preset range. The attic ventilation fan can also be operated without the switch in northern climates to help control moisture during the winter. Attic Breeze fans feature ultra quiet operation. This fan produces less then 1 sone (30 dB). Attic Breeze fans are made in the USA. In fact, they are made in Texas where thunderstorms carry large hail and high winds. With a rugged construction and high quality materials, this fan is built to last a lifetime. 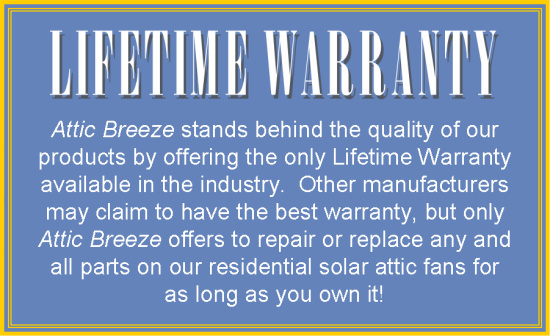 Attic Breeze has so much confidence in this fan that it comes with an industry leading Manufacturer's Lifetime Warranty. Intake Vent Area: You need to have at least 650 square inches of net free air intake area (gable or soffit vents) per 20W fan and 750 square inches per 25W fan to ensure proper ventilation. Placement:Place the solar-powered attic exhaust fan high on the roof with southern exposre. If using the remote panel, orient the panel towards the south. Ensure that the panel won't be shaded for prolonged periods. Tilt: Consider using the optional pivot bracket. This allows for optimal tilt angle of the solar panel, increasing the fans power. Air Seal your Ceiling: To avoid pulling conditioned air from your house, it is a good idea to check for and seal any open areas between the interior of your house and the attic space. Also check your ductwork for leakage. Cutting a Hole: Use a nail with a 10" string and a marker to draw a 20" dia circle on your roof. Try and center the hole between rafters if possible. 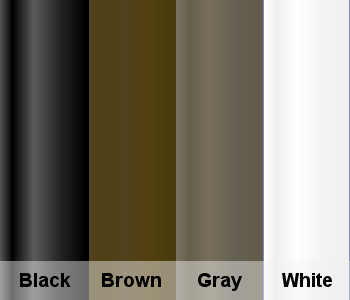 Weatherproofing: Use roof caulking or roof tar to water seal around any penetrations. "I purchased two of your solar powered attic fans to replace two units made by another manufacturer damaged in a severe hail storm in April of 2011. My other two units were installed 10 years ago and worked without any problem, or so I thought. Once your units were installed along with a new roof, siding, gutters and other repairs I couldn't believe what a difference in comfort it made. Previously, in our finished room over the garage it would become so hot it would be too uncomfortable to use. We even considered adding an additional AC unit to keep this room comfortable. Now, after the extreme heat of the summer behind us I'm grateful I purchased the Attic Breeze units and look forward to years of silent, economical and energy efficient operation. My only complaint is now I'll have to buy a nice large flat screen TV to put in that room." "I purchased a solar Attic Breeze fan and the results were unreal. I have a garage here in Sarasota, Florida. I keep a Corvette C6 convertible and a Porsche Cayman S and the temperature was very high until we installed the fan. The change is dramatic. Now my toys are cool and happy. Installation was very easy, it took us about 1 hour to do it. The service we got from Energy Efficient Solutions was very fast and price was good too. If they treat you as well as they treated me, I am sure you will do repeat business with them, as I plan to do in the future."